The Dalai Lama has said there are too many migrants pouring into Europe, warning against the continent becoming Arabised, and claiming the solution is the eventual repatriation of migrants. Agence France-Presse has reported that the leader of Tibetan Buddhism said: “When we look at the face of each refugee, but especially those of the children and women, we feel their suffering, and a human being who has a better situation in life has the responsibility to help them. “But on the other hand, there are too many at the moment… Europe, Germany in particular, cannot become an Arab country, Germany is Germany”. The Dalai Lama added that “from a moral point of view too, I think that the refugees should only be admitted temporarily”. His comments are almost the same as those made by Europe’s anti-Islamisation PEGIDA movement, and similar to comments made by groups like France’s Front National, Germany’s Alternative Fur Deutschland, and to a lesser extent, Britain’s UK Independence Party. Speaking to Germany’s Frankfurter Allegemier Zeitung newspaper, the Dalai Lama, who is perhaps the world’s most famous refugee himself said this weekend: “The goal should be to return and help rebuild their own countries”. But these groups are usually lambasted as “racist” or “xenophobic” for saying so. 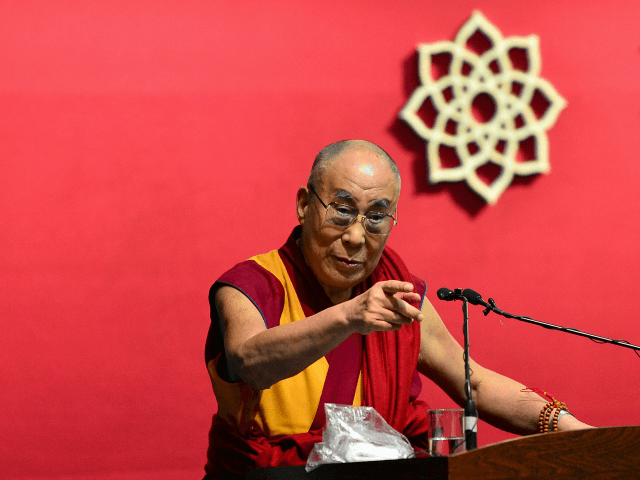 The Dalai Lama, however, was recently named the most popular world leader, with over three-quarters of adults (78%) on average having a good opinion of him. And he has also previously applauded the intake of smaller numbers of migrants by European nations, implying that he believes that asylum policies can be a good thing if done in manageable numbers to preserve European culture, as his comments imply. “You have to consider many factors, whether you can take care of these people,” he said during a visit to the U.K. in September. “You have to be practical… It’s impossible for everyone to come to Europe,” he added.